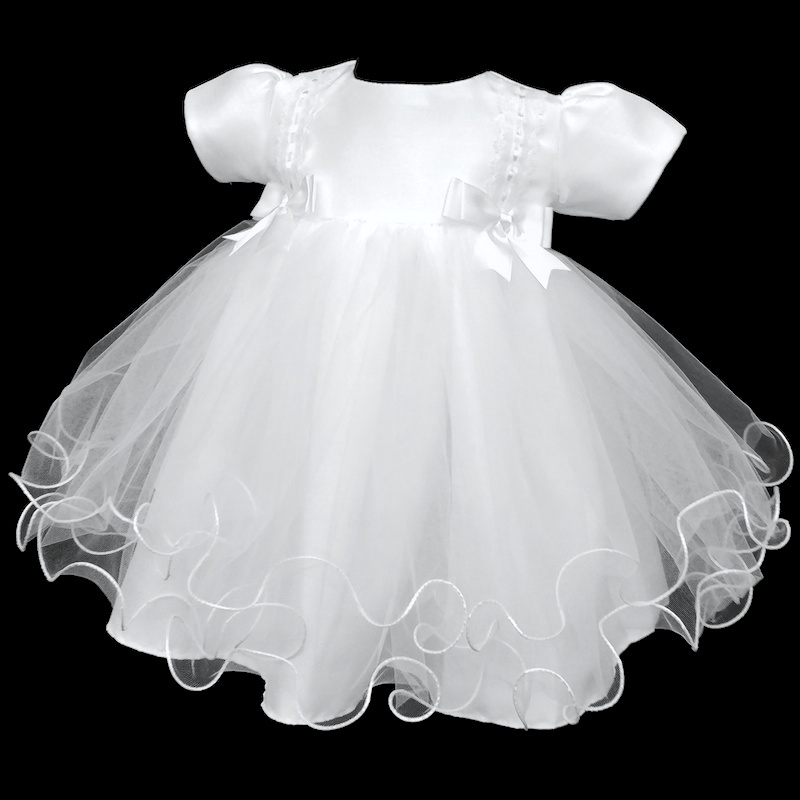 Baby girls white double bow tulle dress, perfect for a christening or a baby flower girl at a wedding. Dress: This white dress has a fully lined dupion bodice. Featuring two large bows to the waist, with a sparkly lace and ribbon trim on the chest. A white satin sash beautifully ties around the back into a large bow. This dress has short puff sleeves with a discreet zip fastening at the back. Two layers of white fluttered net tulle with piped edging complete with a satin underlay. I bought this to change my daughter into after wearing a long gown for her christening ceremony and it was so perfect. It would be beautiful for a christening but for us it worked really well as a party dress. Can not believe how beautiful and well made it is for the money. If I could add a photo to show you I would. But I would 100% recommend this dress. So cute on.